It’s admittedly tough to see, if only because the tweaks and improvements are slow and incremental. But, the Walmart (NYSE:WMT) you know today isn’t the Walmart from just a few years ago or even a few quarters ago. Ditto for Walmart stock. Some of the changes are obvious, like turning up the heat on its ecommerce effort before Amazon.com (NASDAQ:AMZN) strips away any more of the brick-and-mortar retailer’s business. Tinkering with home-deliveries is another jab at Amazon, while launching curbside pickups of online orders takes a bite out of Kroger (NYSE:KR). Those aren’t the initiatives that are turning Walmart into a new company, however. They’re the side effects of the overhaul. Rather, the new-and-improved Walmart is rooted in something far deeper, yet is best evidenced to by the simplest of benign clues. This past Tuesday, Walmart played host to several analysts looking to hear more about the company’s most recent initiatives, and get a feel for where things were headed. Like any so-called “analyst days,” the meeting was geared for professionals, but ultimately aimed at current and prospective owners of Walmart stock. Companies always put their best foot forward at such events, often seeking to reset less-than-enthusiastic perceptions of an organization should they exist. Unlike most of the rah-rah rhetoric usually dished out at analyst day events though, McMillon meant it. It’s not easy to see if you’re not deliberately trying to see it, but the clues are there for investors legitimately seeking them. Take, for instance, Walmart’s relatively new penchant for acquisitions of ecommerce outfits. Plus-sized women’s brand ELOQUII and lingerie name Bare Necessities are the two most recent pickups, following several other premium apparel acquisitions like premium names like Moosejaw and Bononos. There was a time when such acquisitions would have resulted in shoving those new brands’ goods onto the Walmart.com shopping site and hoping for the best, not anymore. Although the retailer’s management team has introduced some premium-level apparel at the website and in stores, by and large the company’s opted to let them continue operating as separate entities. Walmart has come to realize that the most important benefit of these deals isn’t direct revenue from sales of new products. Instead, it’s the information it can collect about each brands’ customers, a twist on a play from Amazon’s playbook. It’s not just a disciplined approach to merchandising, though, that hints to Walmart stock owners the world’s biggest retailer is rethinking everything. The company is questioning every penny it spends, looking for a way to spend less. Case in point: Also at the analyst conference on Tuesday, CFO Brett Biggs seemed thrilled to be able to say the company would be saving $200 million per year by switching to LED light bulbs in the stores’ parking lots, and would save $20 million per year by switching to another kind of floor wax. Neither are exactly game-changing for Walmart, which has produced a net income of $5.2 billion over the course of the past four reported quarters. Those two costs are hardly the only two areas where the company is looking to reduce expenses, however. Rather, those two cost-reductions are a microcosm of the cost-cutting effort Walmart is making from top to bottom. Much of this paradigm shift has gone unnoticed, partially because such change takes time and partially because much of the change isn’t exactly quantifiable; it’s cultural, driven by a CEO that’s been impressively plugged in to the current state of the industry, the company, and the future of both. One only has to look at the admittedly expensive acquisition of India’s Flipkart to see understand the idea. The deal will shave an estimated 60 cents per share off of next year’s bottom line. But, it’s an investment in long-term growth that Walmart may not have even be willing to make just a few years ago. It’s manifesting in ways they can’t quite see. Owners of Walmart stock have already reaped the benefit of this balanced discipline. The stock’s outpaced the overall market’s performance for the past twelve months, and managed to shrug off the market-wide weakness seen in the first half of October. There’s a reason. 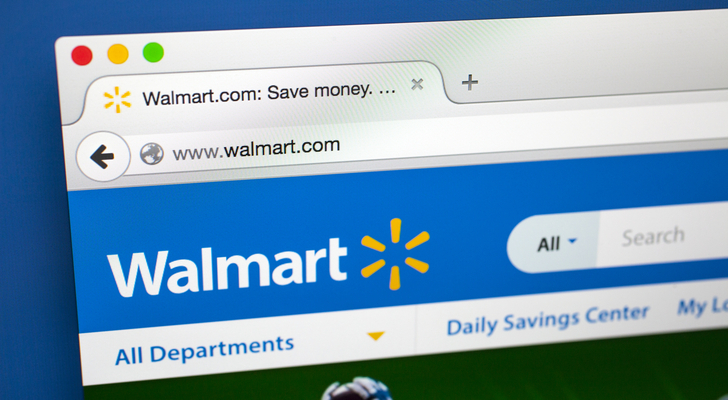 Article printed from InvestorPlace Media, https://investorplace.com/2018/10/proactive-acquisitions-walmart-stock/.